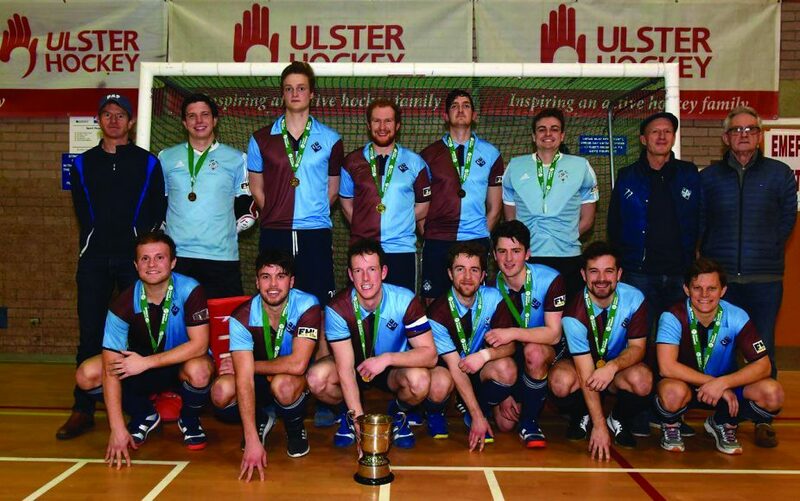 A DOUBLE each from Luke Madeley, Ross Canning and Ben Walker saw Three Rock Rovers retain the men’s National Indoor Hockey Trophy for a third successive year, beating Railway Union 6-1 at the Antrim Forum. The St Columba’s College based team hit the front in the seventh minute from a well-worked move, whipping the ball to Jody Hosking in the left corner where he crossed first time to Luke Madeley arriving at the right moment to score. 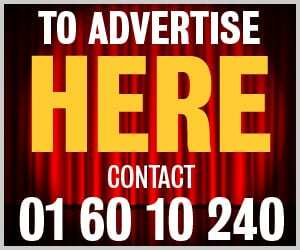 Eoin MacArthur equalised within a minute with a smartly taken finish from top D but the Rathfarnham side finished strong to build a 3-1 lead. Madeley got his second from a switch left from one of only a few penalty corners awarded in the final. Hosking hit the crossbar before Ben Walker got the pick of the goals, an interception on halfway before weaving down the middle and flicking high on his reverse past the impressive Stephen O’Keeffe. His counterpart Jamie Carr, meanwhile, got out quickly to save a Railway corner on the stroke of half-time to keep the gap at two into the break. The early phases of the second half were close and tense as Three Rock held much of the ball and Railway remained patient in their half-court press. Rovers did move further ahead via a stroke when Hosking was felled by O’Keeffe on the right baseline. From there, Railway opened up, creating some big chances with Richie Forrest shooting one across the face of goal and Brendan Parsons flicking over. Michael Fulham hit the bar, too, but Rovers were the more clinical outfit and they killed off the tie when Railway went to a kicking back, scoring twice in the endgame via Canning and Walker. Earlier, Rovers won their semi-final 17-2 against Limerick while Railway had a close-run battle with Cookstown, scoring three times in the last 11 minutes to win 3-1. It means Rovers’ fate for their Euro 2020 campaign is in their own hands. They travel to Oslo for the third tier of European competition from February 8-10.